Just call it Kaspa, the Eco-Friendly Ghost. 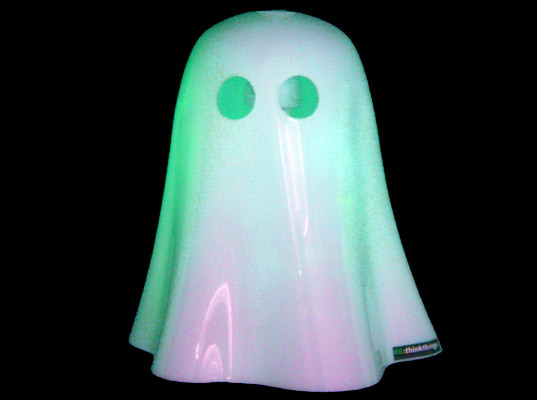 Designed by Ilsa Parry, the winner of Phillipe Starck’s Design for Life reality TV show, the glow-in-the-dark Kaspa Ghost Lamp can be perched on a table or hung from the ceiling to function as a nightlight, without the use of electricity, for 20 minutes while your child drifts off to sleep. Parry developed the Kaspa using “smart” materials—super-efficient materials that react to their external environment. The use of glow-in-the-dark phosphor, for instance, imbues the light with its eerie incandescence—one that allows the Kaspa to light the way for 20 minutes without being plugged in. Just call it Kaspa, the Eco-Friendly Ghost. 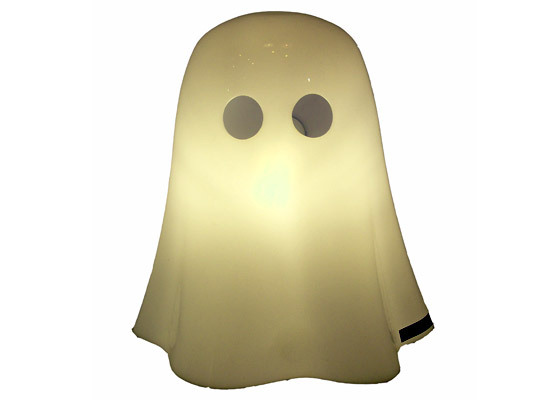 Designed by Ilsa Parry, the winner of Phillipe Starck�s Design for Life reality TV show, the glow-in-the-dark Kaspa Ghost Lamp can be perched on a table or hung from the ceiling to function as a nightlight, without the use of electricity, for 20 minutes while your child drifts off to sleep.